If you’re in charge of a business that involves working with many different types of combustible materials, then you want to make sure that everyone in it is safe from all sorts of harm. So what you will need to do is to look into all of the potential hazards involving these materials. You can also see printable project analysis. 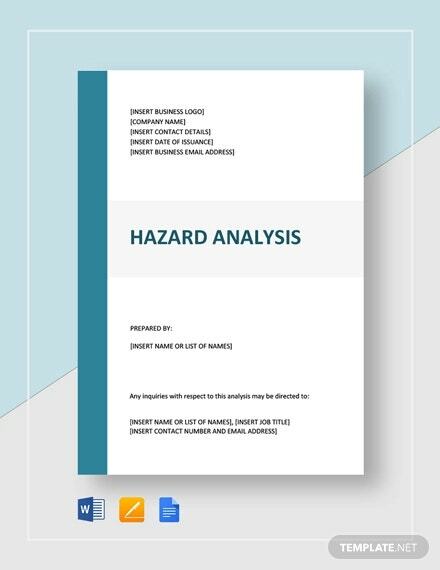 You’re going to need a document that’s able to outline what these potential hazards are so that you can come up with the best way to deal with them. 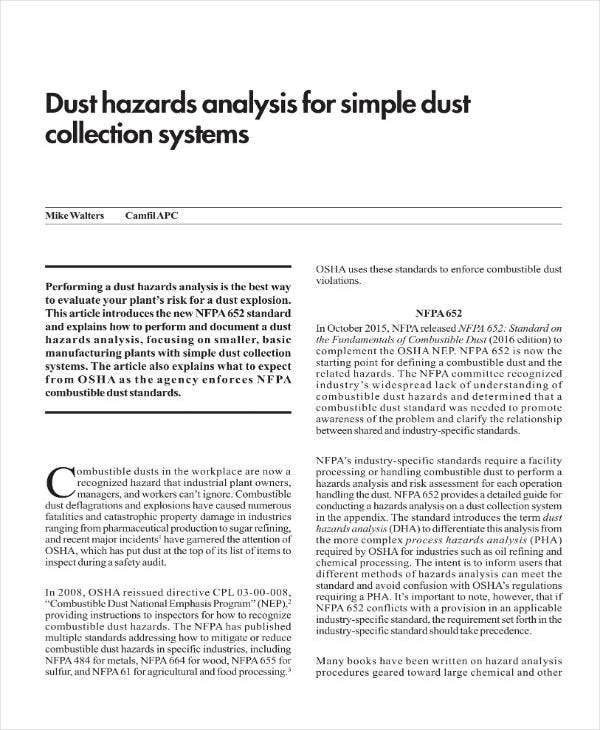 And that’s why this article is going to teach you how to create a dust hazard analysis templates. While the obvious purpose of having one done is to ensure the safety of your employees, there other benefits that you can gain from it. You can also read sample needs analysis templates. Even you wouldn’t want to work in an environment where you know you could be potentially harmed. By showing that you’ve taken all of the danger into account and the means in which you can prevent them, you’re helping assure your employees that they can feel safe. This should give them enough motivation to continue working in a manner that meets or exceeds expectations. You may also see sample company analysis templates. Aside from protecting your employees, the analysis is also meant to protect your entire business in general. If by some chance that you didn’t do the analysis and an explosion where to suddenly happen in your establishment, then you have nobody but yourself to blame. 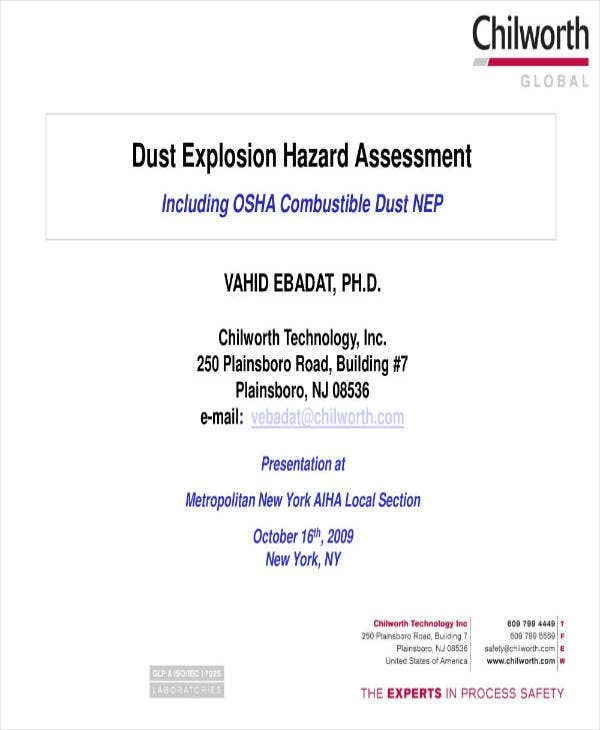 So always have a dust hazard analysis done if ever your business engages with materials which contain them. You may also read sales analysis templates. Anyone who decides to visit your establishment should also know what it is that they should and shouldn’t do if they come into contact with these potentially hazardous dust components. By having the analysis done, you can come up with a proper plan that will ensure everyone knows what kind of procedures they have to follow to avoid being harmed. You may also like sample organizational analysis templates. Remember that the whole reason for doing this type of analysis is to ensure that you are able to protect all of your employees and the business itself from all of the different dust hazards. If you don’t do this type of analysis properly, then the risk of fires or explosions suddenly starting will always be present, which could potentially lead to the entire business having to be shut down for safety purposes. You can also like requirement analysis templates. So if you don’t want that to happen, then you’re going to have to gather as much information as you can to guarantee that you and your employees are able to take care of these risks. You may also see customer analysis templates. Before you can get started on analyzing anything, your’e going to have to take a good look at all of the different materials that your employees are handling. Make sure that you are able to take note of each and every one of them. This will give you information as to what types of explosive dusts your business may contain as well as just how dangerous they are. You may also see cost benefit analysis templates. Come up with a list of all the different materials that need to be evaluated. This is going to be crucial for the steps that you’re going to have to follow. You may also see risk analysis templates. The next step is to assign someone that you think is capable of being able to properly and effectively assess all of the materials in your business. It’s only logical that you’ll want to give this task to someone you know is able to do a competent job. You’re going to have to take a good look at each and every one of your employees and determine which of them is best suited for the role. Make sure that you are able to pick the one that has the experience, knowledge, and the skills to do the job well. You may also read situation analysis templates. In the event that there is nobody in the business that’s able to conduct the assessment, then you’re going to have to rely on a third party to help you. Be sure that you pick someone who is an expert at figuring out where dust hazards can be located and just how combustible they may be. Do your research by going online and figuring out who you should hire or you can ask from trustworthy sources as to where you can hire someone that’s competent. There’s always the possibility that something may not necessarily be dangerous when handled, contains no form of threat at all, or can guarantee harm if handled incorrectly. And that’s why you’ll need these three categories to determine which hazardous dust belongs to where. You may also like best product analysis templates. Although you’ve come up with a category for the different dust hazards, you’ll still need to see just how dangerous the ones in your business are before you can start categorizing them. 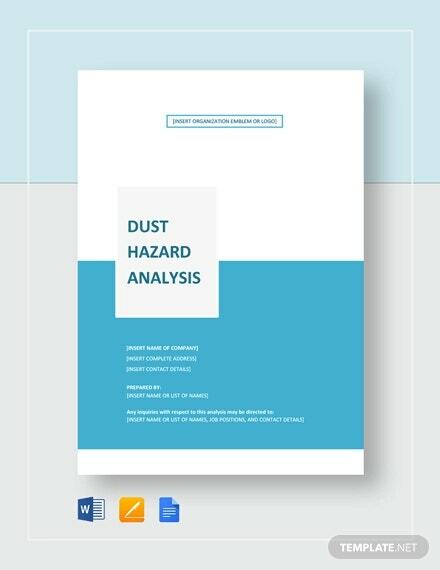 This is the point of the analysis where you will need to consider all of the different factors that will tell you just how dangerous a specific type of dust hazard is. You may also read training gap analysis templates. Where are all of the potential dust hazards located? What is the minimum explosive concentration for the dust? Can the dust exist in a volume that could potentially start a fire or an explosion? Are there any sources of ignition anywhere near the sources of dust? How much dust is being produced by your business? How quickly is the dust being produced? Does your business have a dust collection system? If so, then is it able to meet with the needs of the business? 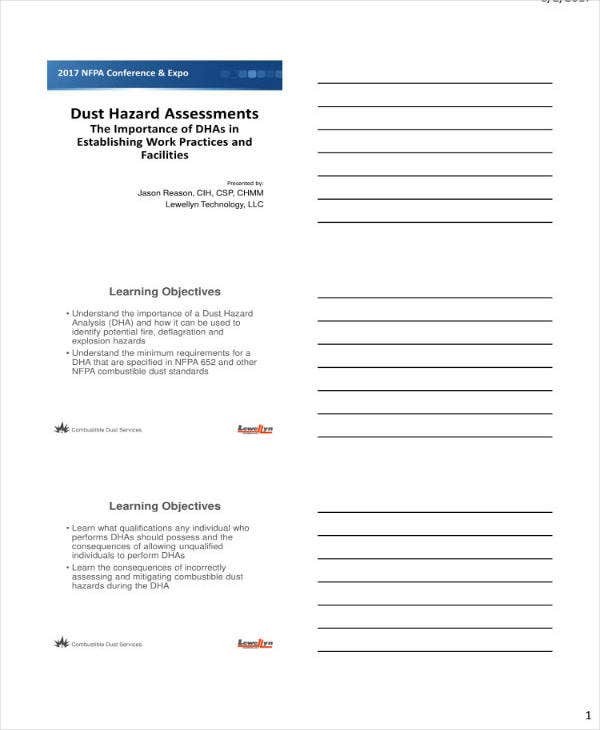 Make sure that you are able to answer every single one of the questions so that you can determine any dust risks your business may contain and so that you can categorize each of them as either not dangerous, not that dangerous, or extremely dangerous. You may also like employee SWOT analysis templates. If your employees are made to work with potentially hazardous dust, then it’s obvious that you would want to guarantee that they have everything they need to keep them safe. 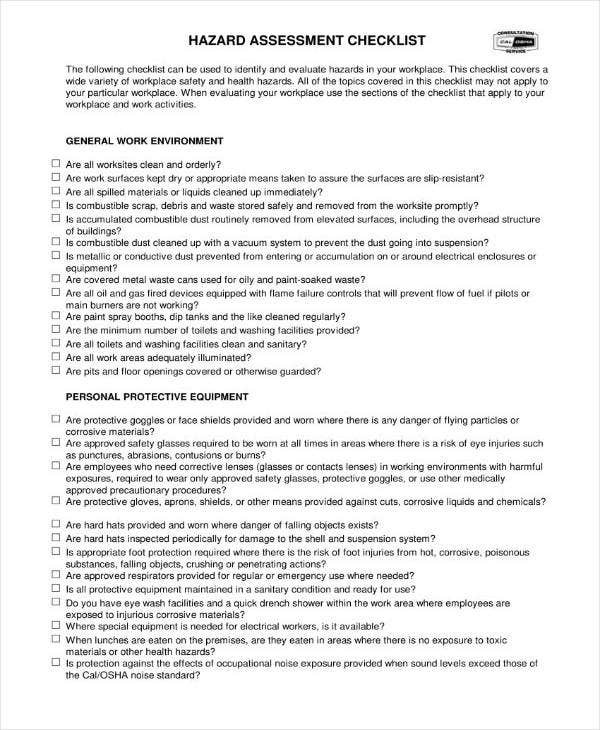 This is where you’re going to have to do an assessment on the current safety equipment that your business’s employees are using in their day-to-day operations. You may also read sample marketing analysis templates. So make a list of each and every one of them. Determine if they all have the ability to actually protect your employees from things such as spontaneous combustion or even explosions. If you don’t have the qualifications to do this kind of assessment, then consider hiring someone who can do this for you. Much like the person you hire to determine the hazardous dusts in your business, the one who will be checking on your employee’s safety equipment must be competent. You may also like regression analysis templates. There’s always the possibility that certain equipment may be unnecessary, allowing you to get rid of that expense. Also, the person you hire may just point out that you’re lacking crucial pieces of equipment that’s important in ensuring the safety of your employees. If that’s the case, then make sure that you immediately acquire them so that you can continue with operations. 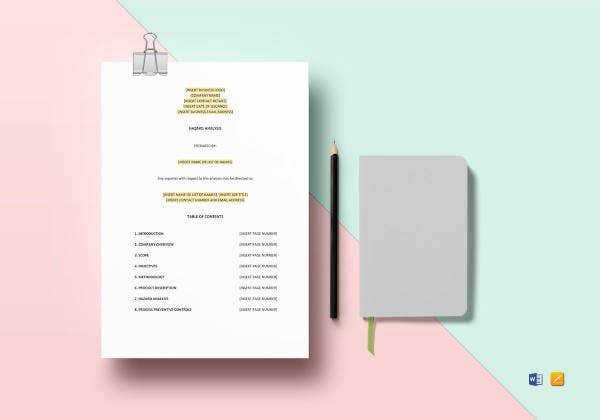 You may also read SWOT analysis templates. Once you have gathered all of the information you need, then the last step is to come up with a dust hazard management plan. With it, you and your employees will know exactly what needs to be done to ensure that the dust hazards within your business are looked into and prevented from inflicting any sort of harm. If you would like to learn how to do other types of sample analysis, then all you need to do is to go through our site. It has many different articles and all of them have the information that you may very well need. Just be sure that you are able to read whatever article you’ve chosen thoroughly so that you can make the most out of whatever it is that they happen to provide.